Power Output: This is the measure of how loud the amplifier can boost the sound. The desired power output is dependent on the speakers that would be used together with the amplifier. More on this later. Total Harmonic Distortion + Noise: Otherwise known as THD + N, it is the measure of how much distortion or coloration an amplifier applies on the sound output. A lower value for this measure means a closer sound quality to that of the audio input. The recommended value for a THD + N is largely dependent on the listening preference of the buyer. Signal to Noise Ratio (SNR): Due to the electronic currents in an amplifier, it inevitably emits a background noise. The SNR is the measure of how noticeable this noise would be. A greater SNR value for an amplifier means one would hear less of this noise. Crosstalk: For stereo amplifiers, there is a left signal and a right signal. The crosstalk is a measure of how much of one signal is mixed with the other signal. A lower decibel value (usually in negative numbers) means there is the greater stereo separation between the left and right signals. Aftermarket car amplifiers are usually purchased for any of the three reasons: to improve the car’s sound quality, to power aftermarket speakers, and/or to power a subwoofer. If one intends to only improve the sound quality with the car’s factory speakers, a compact 4-channel amplifier is a great way to give more power to the car’s speakers. On the other hand, if the amplifier is intended to make the most out of aftermarket speakers, the amplifier should be able to provide the minimum of the highest RMS wattage of the speakers in the system. 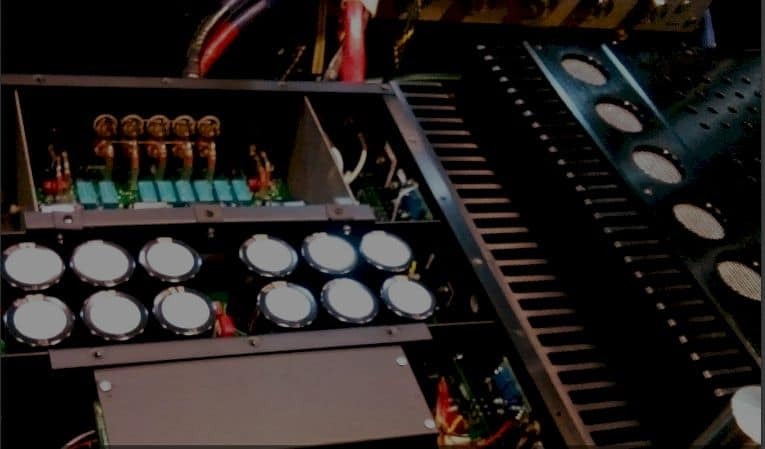 Lastly, if it is for the purpose of powering a subwoofer, a singular channel amplifier is necessary for addition to any other amplifier in the system. Aftermarket amplifiers can easily be installed under one of the car seats, in the trunk, or against the firewall on the passenger’s side. But, these installation options would have varying space limits and amplifiers come in different shapes and sizes. So, before deciding on a purchase, measuring the chosen place for installation must be done. To be clear, one would not have to worry about how an amplifier’s size affects sound quality as a technology has already caught up to make size a non-issue. Other than the size of the amplifier, space for the wiring must also be taken into account. Amplifiers have varying channels available. The number of a car’s speakers determines how many channels are needed in an amplifier. Generally, one channel is needed for each speaker, including the subwoofer, in the car’s sound system. But, amplifiers with an even number of channels can power an even number of speakers regardless if there are more speakers than the amplifier channels. (For more information about car's speaker, please read https://curateview.com/best-car-speakers/). Furthermore, a car’s sound system could have more than one amplifier with a multi-channel speaker powering the coaxial and full-range speaker and a mono-channel speaker powering the subwoofer. Ultimately, a sound system can be set up in varying ways as long as it gives enough power for each speaker to work. Regardless if one is working with factory or aftermarket speakers, the amplifier must provide enough power to all the speakers in the system. Ideally, the amplifier must be able to provide around 75 to 150 percent of the RMS value of the speakers in the system. Because of this, it is often said that it is better to exceed the required power for the speaker than to have the minimum, as too little could blow up or fry the speakers in a car’s sound system. Moreover, it is also recommended to pick the speakers for a car’s sound system, and then use it as a benchmark for choosing an amplifier. In a car’s sound system, the head unit, otherwise known as the radio, stereo, or multimedia player connects to the amplifier, which is then connected to the speakers. Factory head units do not usually have preamp outputs and this would require for the amplifier to have speaker level inputs. On the other hand, head units with preamp outputs require amplifiers with line level inputs (which, by the way, is the set-up that produces the clearer sound quality between the two). So, to avoid purchasing incompatible amplifiers, one must first determine whether the car’s head unit has preamp outputs or not. If the car’s sound system is equivalent to at least 600 watts of total RMS power, the car’s starting battery should, at the very least, be upgraded if an auxiliary battery is out of the question. Sound systems at this level can be quite demanding for its power requirements. If the bass drops and the car’s headlights are dimming, additional battery power is needed to keep up with the car’s energy demands. Amplifier manufacturers would only usually honor a warranty if it has been purchased from an authorized dealer. So, before making a purchase, it is best to verify the seller’s credentials. Buying an amplifier from an unauthorized dealer lacks the guarantee that an amplifier has the quality its manufacturer intends it to have. To check this, one could easily find the authorized dealers in the manufacturer’s website. With these pointers, the thousands of choices available for amplifiers one has for car speakers have already been greatly narrowed down. And, with knowledge from an experienced car audio enthusiast, one could already get chosen an amplifier for car speakers and started with building their dream car audio system.